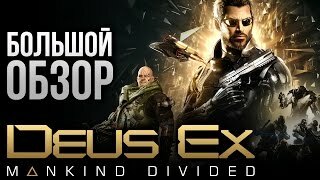 Game Deus Ex Mankind Divided about a global conspiracy. Stealth shooter with signs of a shooter from the leading person unfolds events in 2029 The future is not so distant, but the authors endowed the gaming world with technologies that are unlikely to be available to humanity. Although, given that we are dealing with fiction, you can allow anything. If you pre-order, you can download Deus Ex Mankind Divided ahead of time. In the society of the future, science and technology have gone so far that they have learned how to modify people. Damaged limbs or organs are replaced by bioprostheses, and people get new opportunities. Some take advantage of them for criminal purposes, and this sets the society against all “mechanized” citizens. The situation becomes incandescent modified are considered outcasts and forced to live isolated. Among them, Adam Jensen is an Interpol agent undercover. He is armed with mechanical bioprostheses and modern weapons. He is a stranger in the world of ordinary people, and among such as himself. That is why it is important to determine the correct pattern of behavior in order to uncover the conspiracy and understand who you can trust. Players to develop the ability of Adam, turning him into a cunning, strong and clever warrior. Weapons will also be available to different samples, and it can be obtained at one time in the process of passing. During the skirmishes, the hero will lose energy, but unlike the previous series, where you had to find a way to restore it, now it happens automatically. Among the new products of Deus Ex Mankind Divided on a PC, you will see a titanium shield, temporarily protecting against physical damage. Another hero has acquired a Tesla useful weapon, working like a stun gun, but with a more powerful electromagnetic charge. It is mounted in the brush, and releases 4 charges. The functionality of the nano-blades has changed; they can work as a remote weapon, and an illegal shock pistol is mounted in the forearm of Adam's PEPS. CPA is a non-governmental group, but having weight in the political world, as it represents a significant part of the population of augmented people. The coalition is located in Germany, and it is headed by a former doctor Talos Rucker. Recently, the organization began to accuse of terrorist acts, despite its peaceful statements. ОП 29 appeared due to the decision of the governmental organizations of different countries, and it has the full authority. Talos Rucker, head of the coalition. For the protection of augmented people prefer non-violent methods, but someone substitutes it. Victor Marchenko is inclined to radical methods. Watslav Koller unprincipled augmentation engineer under the cover of the mafia Zhvali. 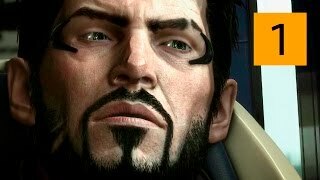 Adam Jensen dreams of stopping the Illuminati to save the world. Alex Vega helps Adam find out everything about the Illuminati. Chikain pilot in the group of Adam.